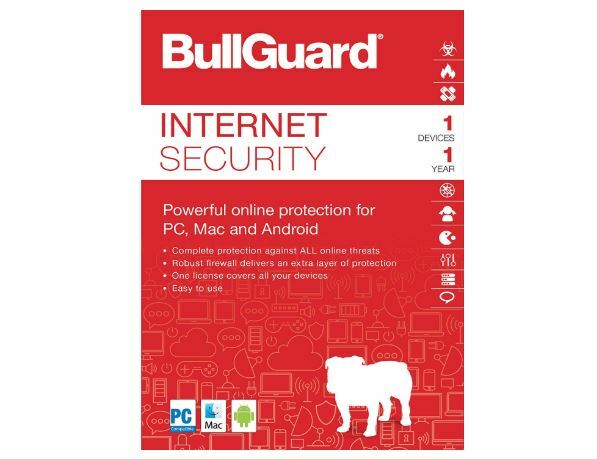 BullGuard Internet Security performs quite great under everyday use circumstances. If you have a lot of important data in your computer, and you do not want to lose them for any kind of virus attacks or infections, BullGuard Internet Security is for you. Moreover, hardly there is any decent antivirus, which is available at such an affordable price. Price: ₹ 999 but on Amazon, it is available at ₹ 450 (1 device/year) or ₹ 1999 (around $29.97) for 3 devices (1 year). If you are not having a very high-end computer or do not want to invest a lot for security suites and antivirus programs, the BullGuard Internet Security is going to be the most compatible antivirus software for you. I have been using BullGuard Internet Security for more than two weeks and is pretty satisfied. Most of its functionalities are satisfactory but there are some niches, as well, where BullGuard Internet Security could have performed better. If you’re not looking for a huge ton of functionalities for your antivirus program, BullGuard Internet Security will surely not upset you. It comes with almost all kind of functionalities, which are necessary for a normal user, from custom scans to parental control, along with a firewall. As I have been using it for more than two weeks; I have come to find out some pros and cons of the BullGuard Internet Security. Also tested the features, in order to check whether it is really going to be a good investment for you or not. If you are from India, you can get it at almost Rs. 450, for one year and for a single PC. And that makes it one of the most affordable antivirus program available in the market. Though, if you purchase it from local retail stores, you can also get a discount on the price. Without further delay let’s find out the features, pros and cons, and my verdict on the BullGuard Internet Security. Like other antivirus programs, BullGuard Internet Security comes with support for different kind of scanning options, including full system scan, quick scan, and custom scan. BullGuard Internet Security offers an easily configurable firewall, and it makes easier to permit or deny certain applications from accessing the network. Comes with game booster, in order to allow a lot of room to play games, on a limited memory or RAM. BullGuard Internet Security has a PC tune-up option, which can defragment registry, remove unwanted files, find and remove duplicate files, along with a number of options. Offers an advanced parental control, which can allow or block certain websites, applications from getting access by a particular profile on a computer. Comes with a 60-day trial version, which can be great for trying the application before purchasing a license for the antivirus. The security level can also be changed depending upon the way you work with your computer, which can be handy for certain users. I just executed the quick scan and full scan on my system, running Windows 10, having 8 GB of RAM, and Core i5 processor and the stats are given here. Now that you have come to know the features of the BullGuard Internet Security, it is the time you should know the pros of BullGuard Internet Security, to take a decision in a better way. Memory consumption: The first thing, which is observed by a number of users after installing an antivirus is, the amount of space it takes on the RAM. BullGuard Internet Security consumes around 15 MB, under ideal circumstances, and when the scanning goes on, it can take almost 150 MB, which makes BullGuard Internet Security is pretty lightweight. Space requirements: On my system, BullGuard Internet Security took around 230 MB of hard disk space, which means, it does not take a lot of space on the hard drive, as well. Thus, if you struggle with limited space on your hard drive, BullGuard Internet Security can be your closest pal. User Interface: The User interface is user-friendly, and different options are grouped into different categories, which make it easier to find the options, even for novice users. Performance: On testing, BullGuard Internet Security detected the EICAR test file instantly, which makes it is sure, BullGuard Internet Security is pretty fast in scanning and neutralizing threats. 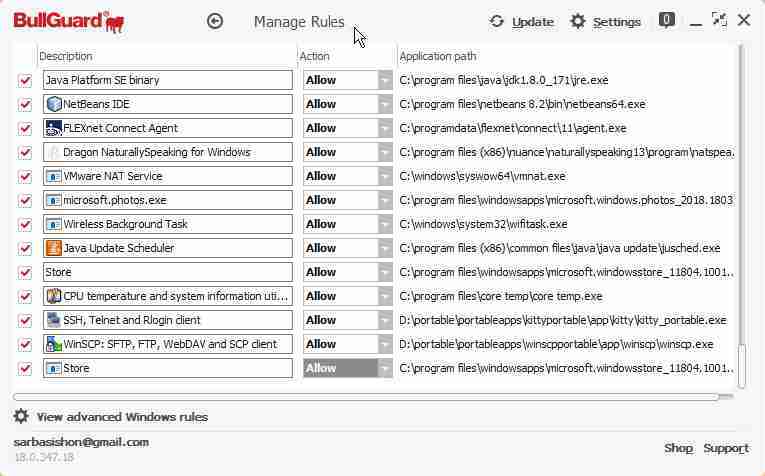 It can even neutralize numerous executable files and quarantine it, though not 100% successful in that. External drives scan: BullGuard Internet Security scans any external USB flash drive once connected to the system, which keeps the system free from any external threats. Anti-piracy: BullGuard Internet Security automatically stops access to any kind of hack tools or keygens, which come packed with a number of programs, when downloaded from the Internet. 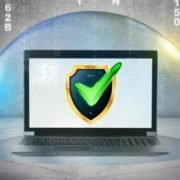 Always on monitoring: BullGuard Internet Security online monitoring is always on, and in case there is any kind of threat on any website, that will be detected and any kind of scripts will be blocked by the antivirus software. Easily configurable firewall: If you’re not happy with Windows firewall, the firewall offered by BullGuard Internet Security is really easy to configure, making it a great choice for novice users. 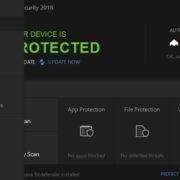 Automatic updates: Automatic updates of the antivirus definitions are done in a way, such that the whole bandwidth is not used, and you can get a handful of bandwidth for doing your tasks or the computer. 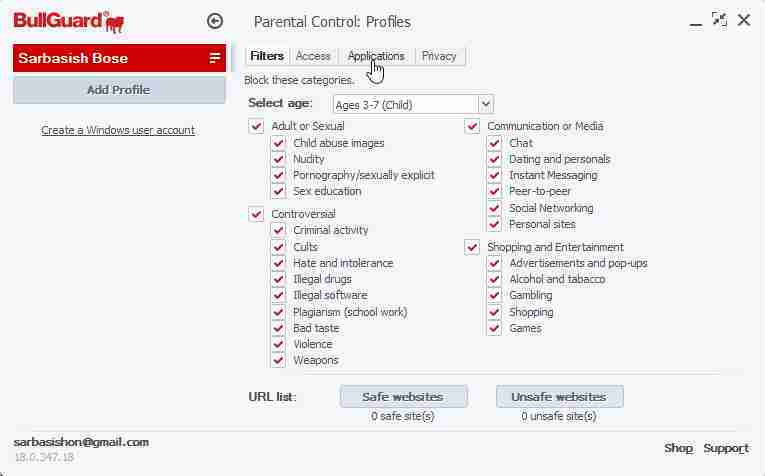 Parental controls: The parental control comes with a number of filters, which can block your child from accessing adult and sexual contents, controversial websites, shopping and entertainment sites and communication websites which are mostly meant for dating and other purposes. You can also make your child access the Internet and certain applications for a limited amount of time per day, to keep them away from the Internet and getting addicted to it. 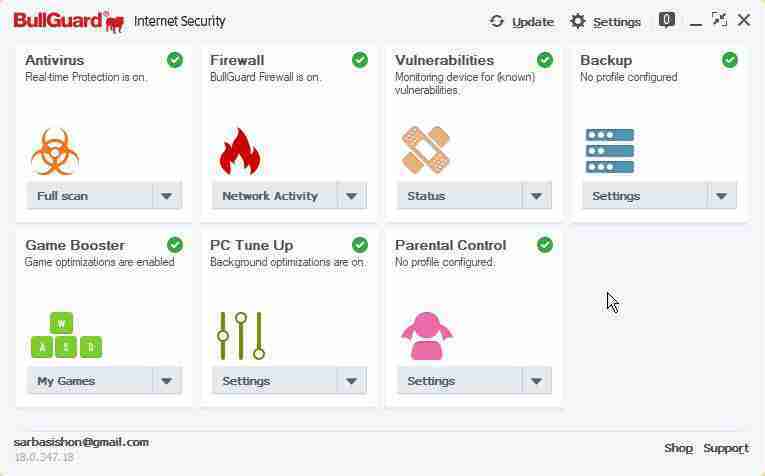 You can even stop numerous installed software from getting access, by your child with the help of parental control on BullGuard Internet Security. 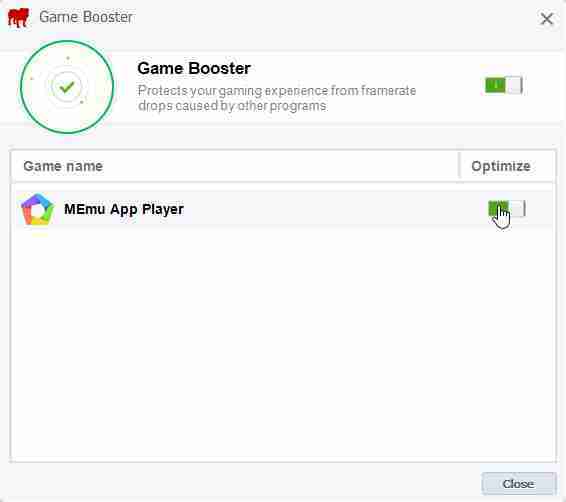 Smart Game Booster: The game booster option is very smart, and it can automatically boost the performance of the games, by closing down or halting numerous background tasks. Though, the user can also assign certain applications as games, which can be pretty handy if the software fails to recognize an application as a game. All kind of software, which you use comes with some cons, and the same goes for BullGuard Internet Security. Let’s find out the cons. 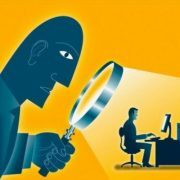 Though there is an option to assign certain threats as false positive; it is not applicable to all kind of threats which is pretty frustrating. In such cases, it is a good idea to pause the protection for some time and resume it later again. The parental control is good, but it is very difficult to add a certain website to the blacklist. For example, if the link is changed in some way, at the time of accessing, it can lead the website to get accessed. There isn’t an option for phone support, which is something BullGuard could have offered for the premium users. There is no doubt, BullGuard Internet Security performs quite great under everyday use circumstances. If you have a lot of important data in your computer and do not want to lose them from any kind of virus attacks or infections, BullGuard Internet Security is for you. BullGuard Internet Security also offers a great package at its price. Hardly any there is any decent antivirus, which is available at such affordable price; and thus, you should grab the deal of purchasing BullGuard Internet Security. However, there are some cons too in the Internet security; you can find above but none of them is a deal breaker; from my point of view. BullGuard Internet Security will work pretty well; if you are not looking for some special functionalities from your antivirus program. What was your experience with the BullGuard Internet Security? Let me know about it in the comment section below.